Athens (AFP) - Hungary came under mounting criticism Thursday over its treatment of migrants and refugees, with the UN's rights chief saying its policies appeared to be shaped by anti-Muslim sentiment and "xenophobia". A statement from Zeid Ra'ad Al Hussein's office said he "deplored the xenophobic and anti-Muslim views that appear to lie at the heart of current Hungarian government policy". Regional neighbours joined the UN in blasting Hungary's use of water cannon and tear gas against migrants as "unacceptable" and "unbecoming". 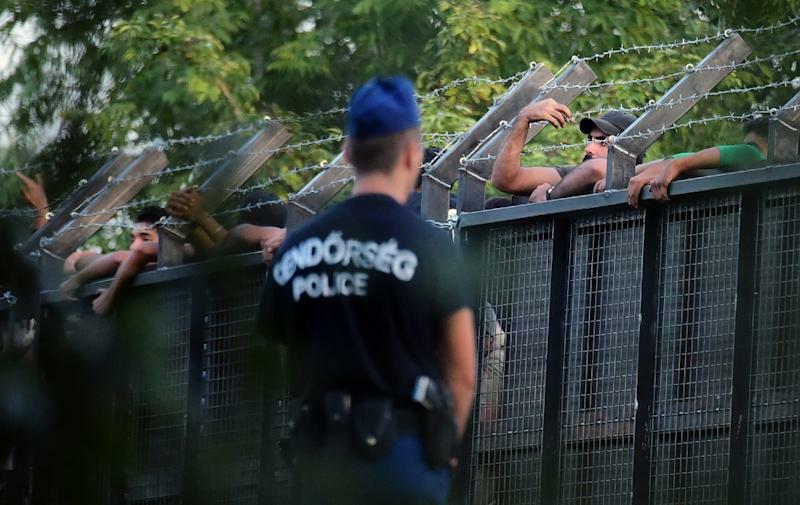 Greece, Croatia and Serbia -- all of whom are under mounting pressure as Europe struggles with its biggest migration crisis since World War II -- had harsh words for Budapest's treatment of migrants at its southern border on Wednesday. But Hungary brushed off the criticism, with Foreign Minister Peter Szijjarto describing the world's reading of the events as "bizarre", saying "aggressive" migrants had been responsible for the violent clashes with police. "Aggressive people such as seen yesterday will never be let in, Hungary will defend its borders no matter what outrageous criticism it gets from whomever in the international political elite," Szijjarto told a press conference in Budapest. 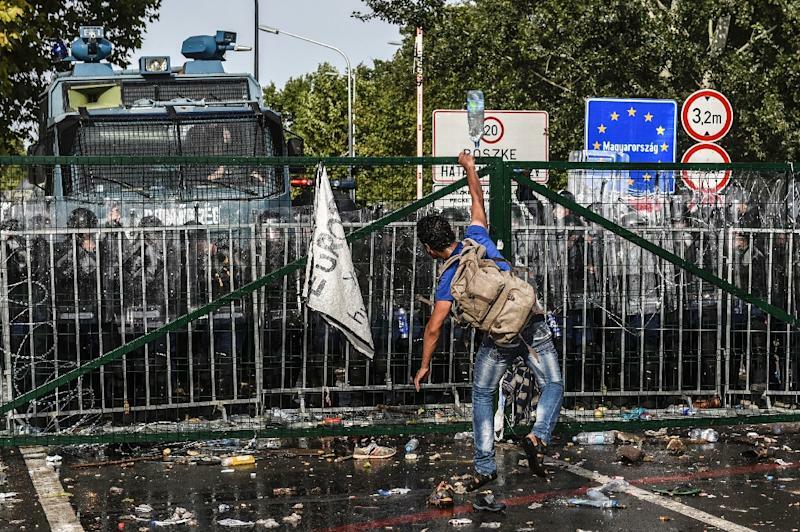 Clashes erupted at the flashpoint Roszke crossing on the Hungary-Serbia border on Wednesday, with police trying to block dozens of migrants massed on the Serbian side of the border from breaching a razor-wire fence. Hours after the clashes, UN Secretary General Ban Ki-moon said he was personally "shocked" to see how the refugees and migrants were being treated. In Greece, which has seen over 300,000 migrants passing through since the beginning of the year, foreign ministry spokesman Constantinos Koutras lashed out at Hungary's "raving". "We are unable to keep up with the raving of Hungarian officials against our country, but mainly the 'unacceptable' -- according to the UN secretary-general -- behaviour of security forces in Hungary against refugees, even babies, living the drama and misery of war," Koutras said. "The use of violence, patrols with guns and pushing innocent war victims into Balkan minefields is behaviour unbecoming of an EU member state." As migrants intent on bypassing Hungary blazed a new trail through Croatia, Prime Minister Zoran Milanovic said although the country's capacity to help the refugees was "limited", it would do its best. "We know how to behave like humans," Milanovic told his cabinet. Serbia also took aim at Hungary's treatment of people gathered along their shared border, with Prime Minister Aleksandar Vucic saying: "This torture and non-European behaviour must stop." Hungarian Prime Minister Viktor Orban is likely to tough out the criticism, says Attila Juhasz, a migration analyst with Political Capital in Budapest. "He has built his hardline policy in the belief that he has growing support for his approach in western Europe," he told AFP. Orban's chief-of-staff Janos Lazar told reporters that sealing Hungary's border was the best means of defending it despite "all the bla bla bla in Europe". He cited police figures showing a drop in illegal border crossings from 9,380 on Monday to only 366 on Tuesday and 277 on Wednesday, the first day after the border closure. Fourteen police were injured in Wednesday's clashes, officials said, with 10 arrested for "illegal border-crossing" and facing three-year jail terms under harsh new anti-migrant laws. But UN refugee chief Antonio Guterres said in a statement it was "not a crime to cross a border", warning that some of the measures implemented by Hungary violated international law. Guterres demanded that Budapest "ensure unimpeded access for people in need of protection in line with its legal and moral obligations". European Commission spokeswoman Mina Andreeva said the EU executive was "following events at the border with concern". 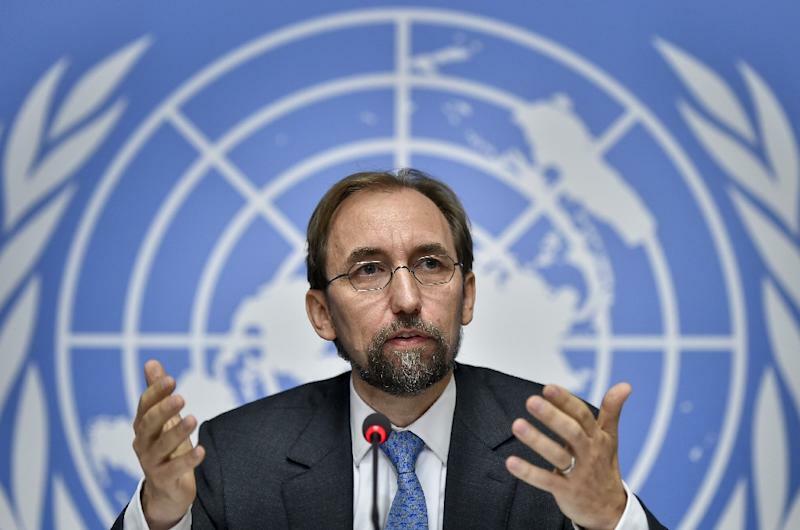 The UN has made repeated appeals to European leaders to uphold human rights as it grapples with the migration crisis.